EverWeb is an easy to use drag-and-drop website builder. No coding, and no web building experience is required to get your beautiful website up and running. If you have ever used Apple’s now discontinued iWeb, your transition to EverWeb will be a breeze. EverWeb’s user interface, and most of its functionality, is very similar to iWeb. Build a website either from scratch using a blank canvas, or modify one of the many professionally designed built-in templates. EverWeb is available as a standalone application for $79.95 (US), or with a hosting account that allows you to publish your website without any FTP information for $99.95 (US). Apple user group members can now purchase either versions at 50% off (not applicable to renewals and/or upgrades). You can try EverWeb free of charge before purchasing. EverWeb also comes with a 60-day money-back guarantee, so you can purchase with confidence. The discount link has been updated for 2018. To download or purchase EverWeb at a 50% discount, see your user group Ambassador. This worldwide offer is ongoing. Special Offer – TidBITS Content Network for Apple professionals: Get a free month of tips and articles! The TidBITS Content Network (TCN) is a syndicated content service for Apple consultants, resellers, service providers, and other professionals who want to publish Apple-specific tips and articles on their blogs, in email newsletters and on social media. A TCN subscription includes four short tips and four 400-to-600 word articles each month, plus free bonus articles right after Apple announcements. Everything is professionally written, edited, and illustrated by Adam and Tonya Engst, the editorial team that co-founded the TidBITS newsletter and the Take Control Books series. TCN subscribers may add to or edit the articles however they wish. TCN costs $100 per month, and user group-involved Apple pros can get the first month’s content for free! This worldwide offer is ongoing, but note that all TCN content is only in English. No matter what Apple devices you’re using, there’s a Take Control ebook that will help you polish your skills, work more efficiently, and increase your productivity. Written by the most-trusted names in the Mac world and published by Joe Kissell and Morgen Jahnke, Take Control ebooks provide the technical help you need now. All Take Control titles are DRM-free and available in PDF, EPUB and Mobipocket (Kindle) formats, so you can read wherever, whenever and on whatever device you like. Remember, there’s no need to read a Take Control title from front to back; instead, each book has a Quick Start that helps you jump instantly to the information you need. An exclusive 30% off their already low prices is offered to Apple user group members on all Take Control ebooks. See your user group Ambassador for discount URL. TeamsID is a San Francisco based software company specializing in password management and encrypted document storage. With over a million individual users, SplashData, the parent company of TeamsID has been doing password management for 15 years. 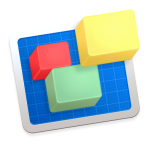 They are happy to be working with the Mac user group and hope to convert you to a lifetime user of their product. Public pricing is usually $3 (U.S.) per user per month, but for Apple User Groups, TeamsID is extending a lifetime discount of 33%. Please note that every user gets their own “My Records” inside of TeamsID, which is a personal password manager that no one else has access to. 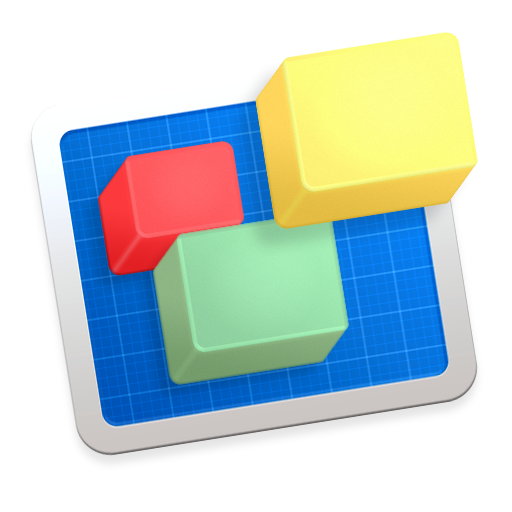 Eltima Software has developed Mac software for more than 15 years and has created various solutions for OS X. They can offer exactly what you need. Solutions include SyncMate, Elmedia Player, Folx, PhotoBulk, Airy, Commander One, USB Network Gate, FlexiHub, Typeeto, Uplet, Swordbox, CloudMounter, SyncMate 4, Unclouder, Flash Decompiler Trillix, Flash Optimizer and others. Learn more at http://mac.eltima.com/mac-products.html. User group members can receive discounts of up to 60% off regular pricing. See your user group Ambassador for discount link. Opus ][ is a complete collection of The Byte Works’ programming tools, resources, compilers, tutorials, and documentation for the Apple II computer. Consumer applications such as the Quick Click spreadsheet, morph program, and movie player for the Apple IIGS are included, as are 35 book-length manuals and guides. Download the utilities package for $25, or with their source code (over a million lines of code!) for $40 total. Apple user group members get a 25% discount by entering the discount code during checkout. See your user group Ambassador for discount code.